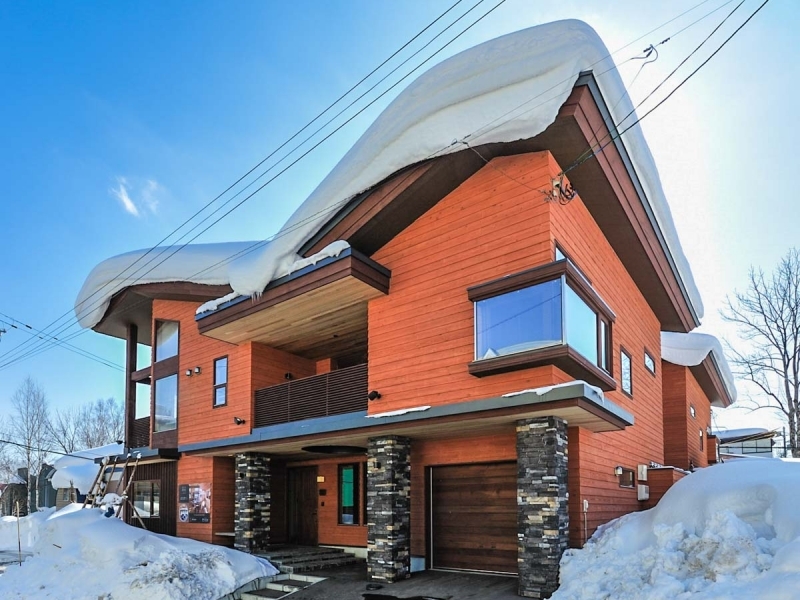 Minutes away from some of the finest skiing in the world, Miyabi and Tsubaki are identical sistern chalets in the lower part of Hirafu Village, Niseko, Hokkaido, Japan. 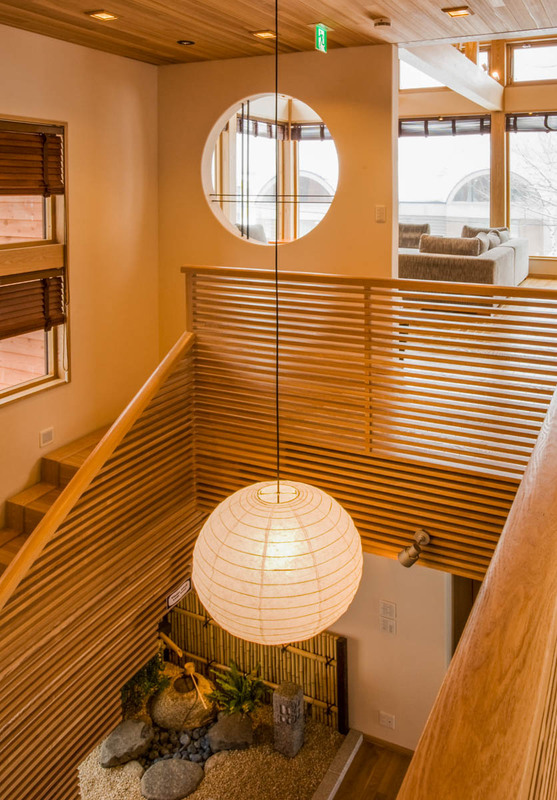 The modern, zen-inspired residences strike a perfect balance between the tranquility of traditional Japanese living and contemporary luxury. 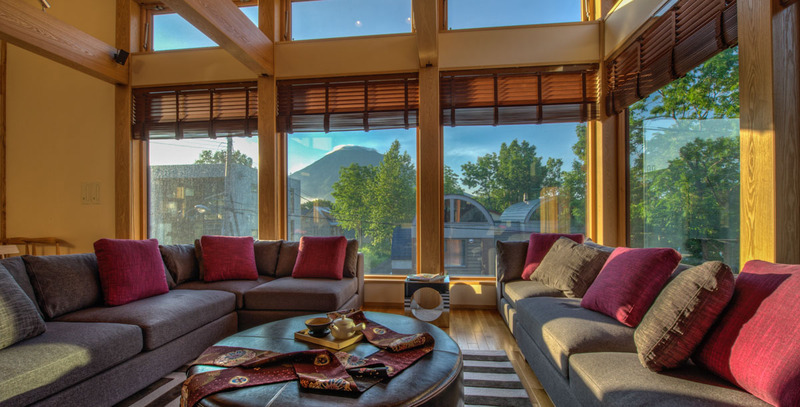 Enjoying uninterrupted stunning views of Mt. 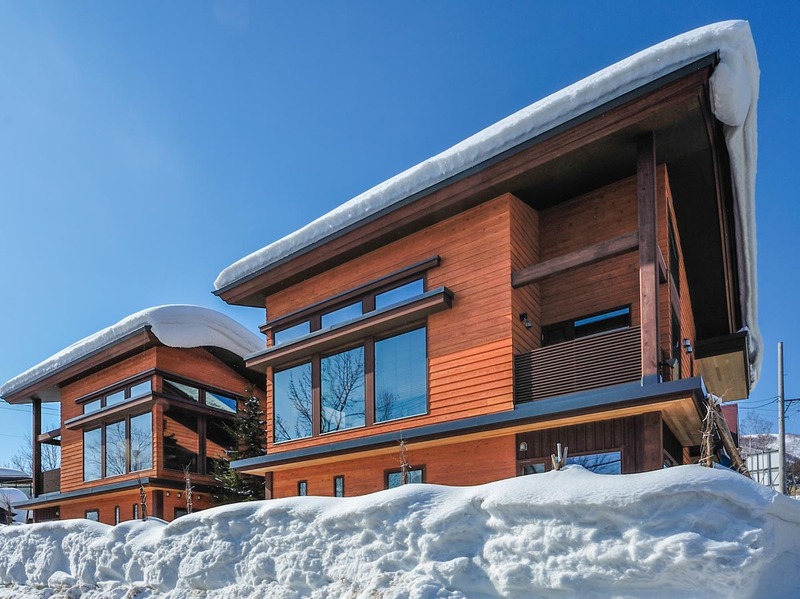 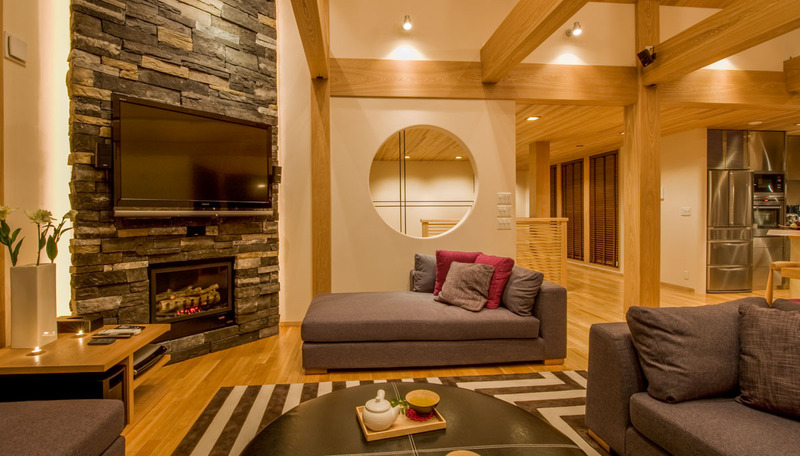 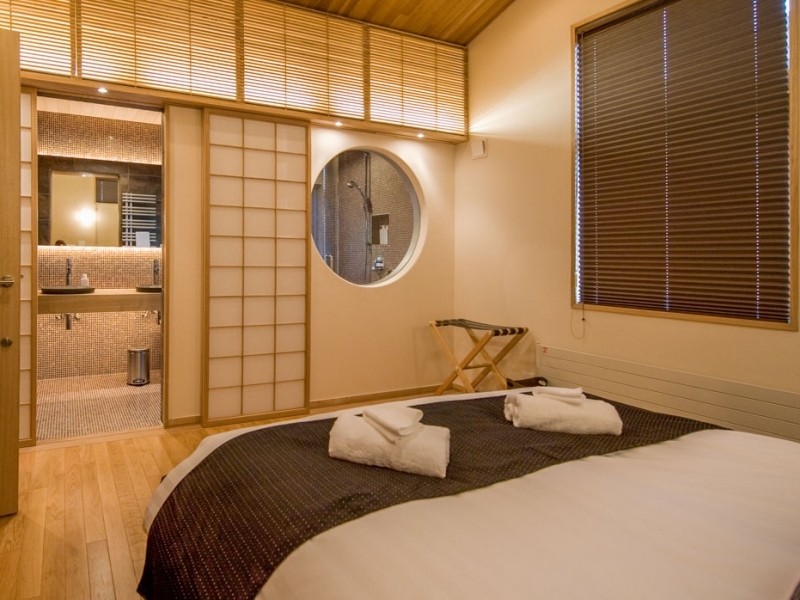 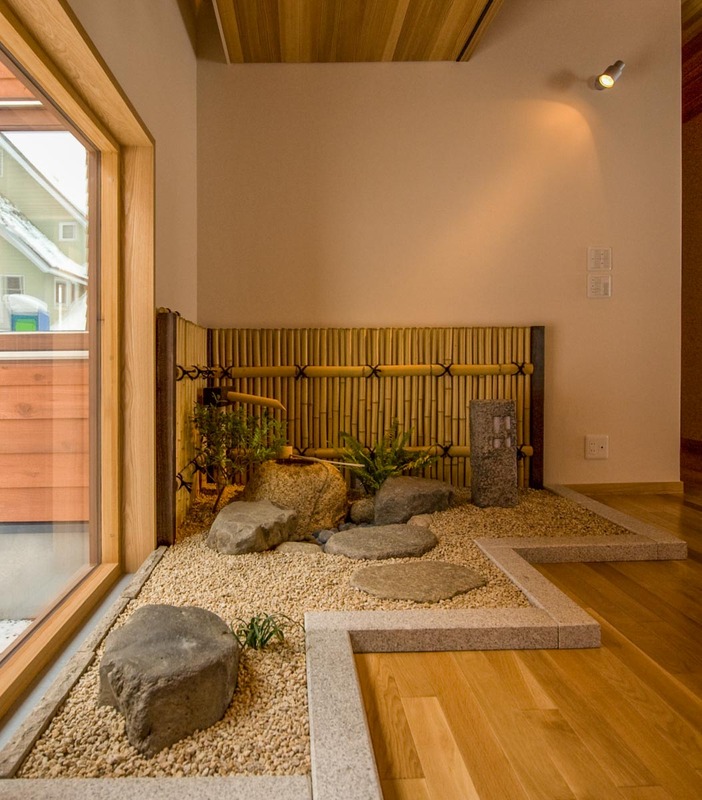 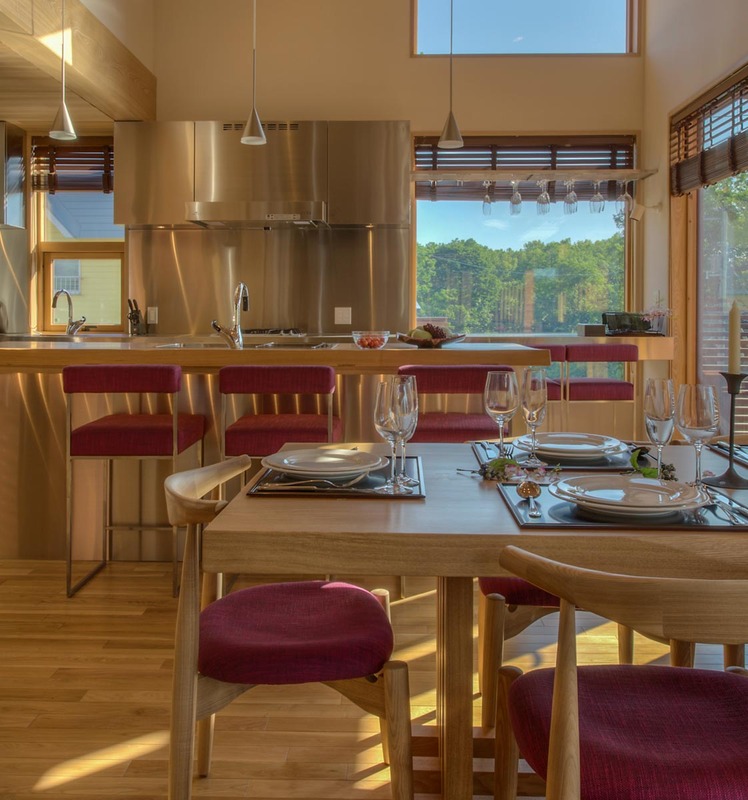 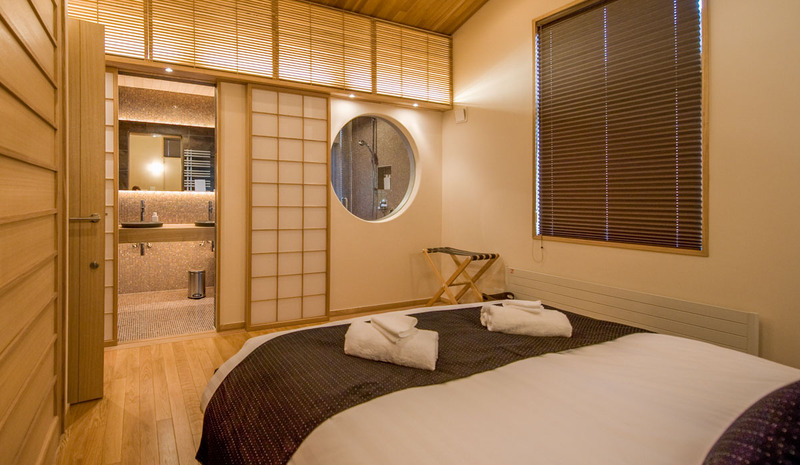 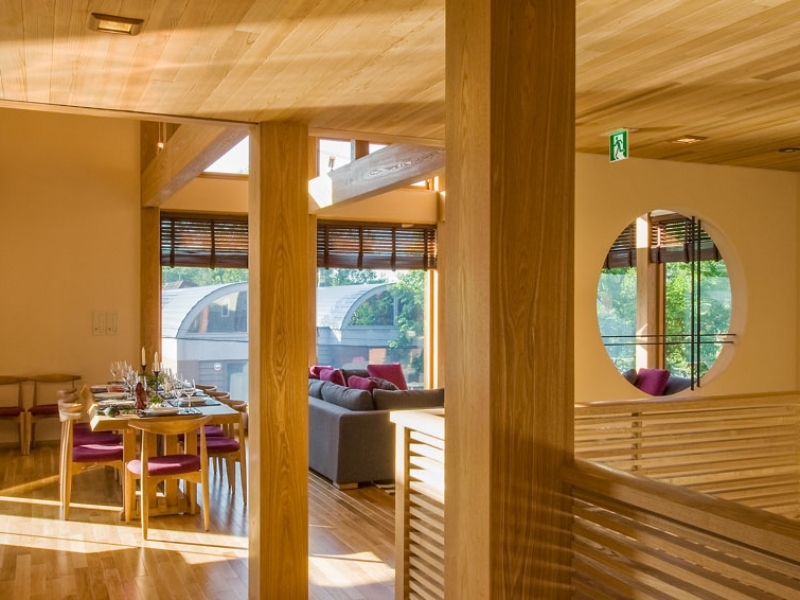 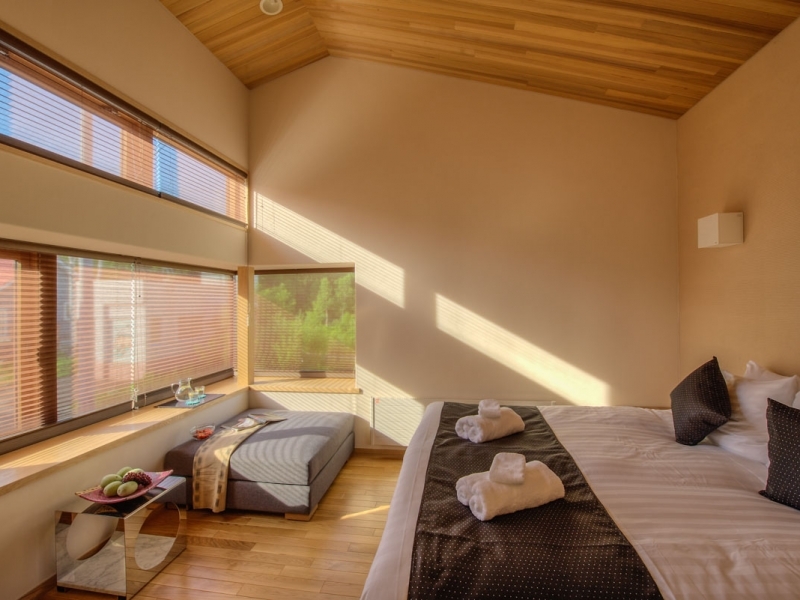 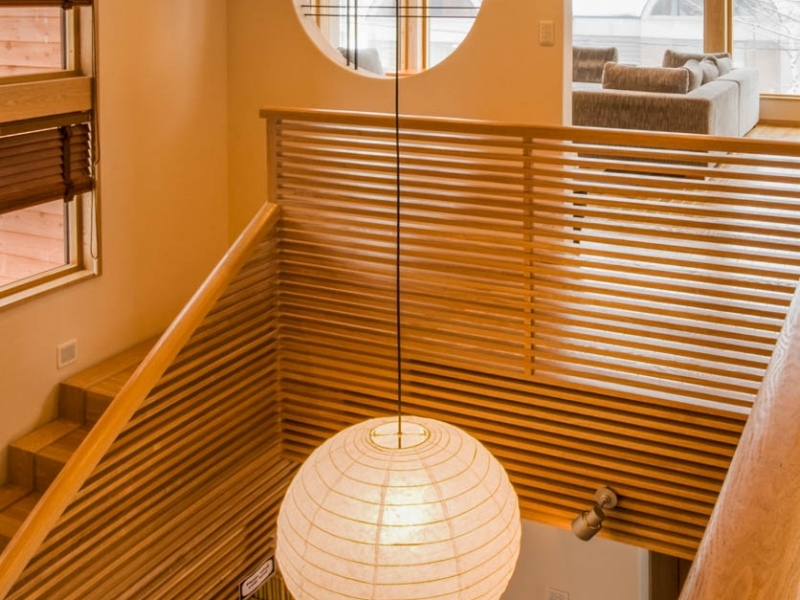 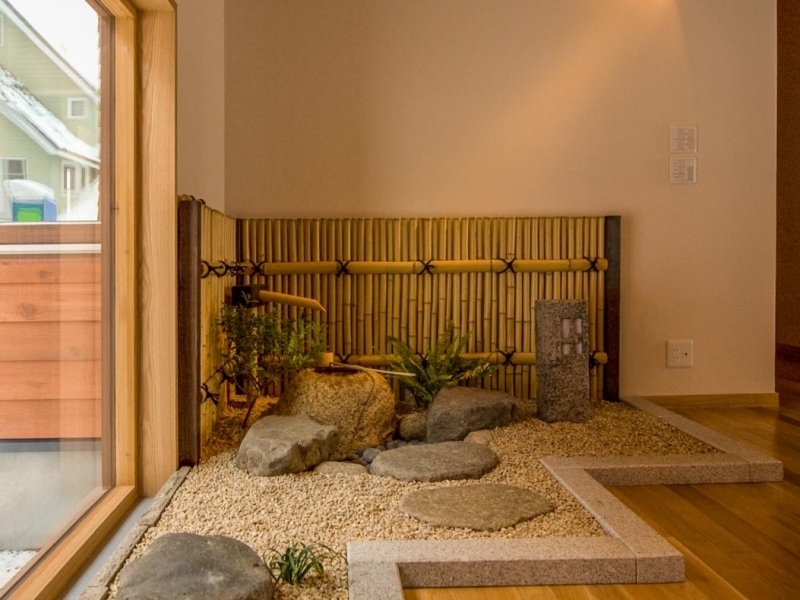 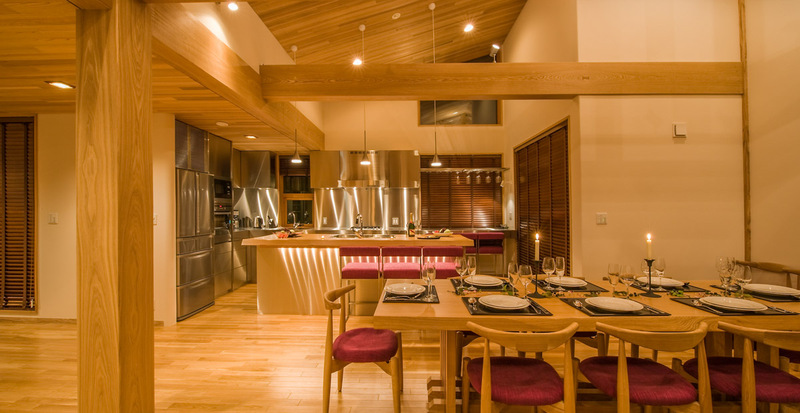 Yotei and Hirafu ski area, the chalet welcomes guests with a lofty atrium, which ideally provides ample natural light to complements a beautiful decorative Japanese rock garden. 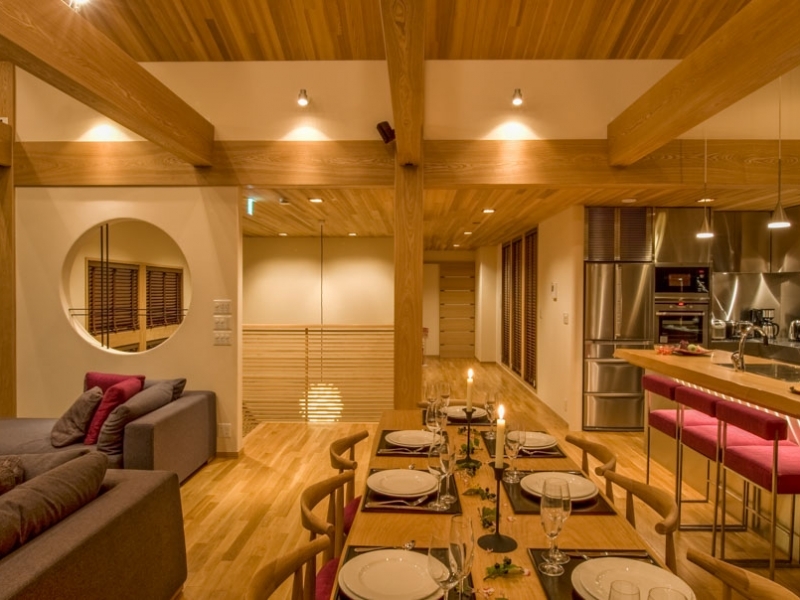 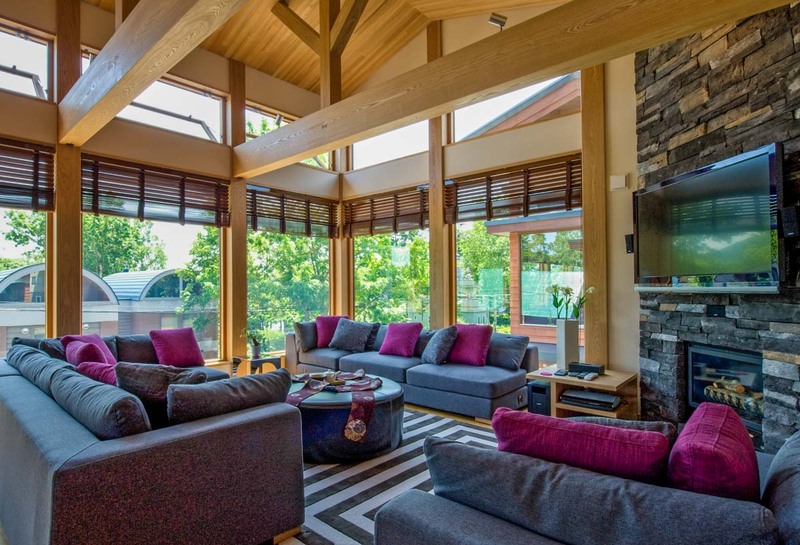 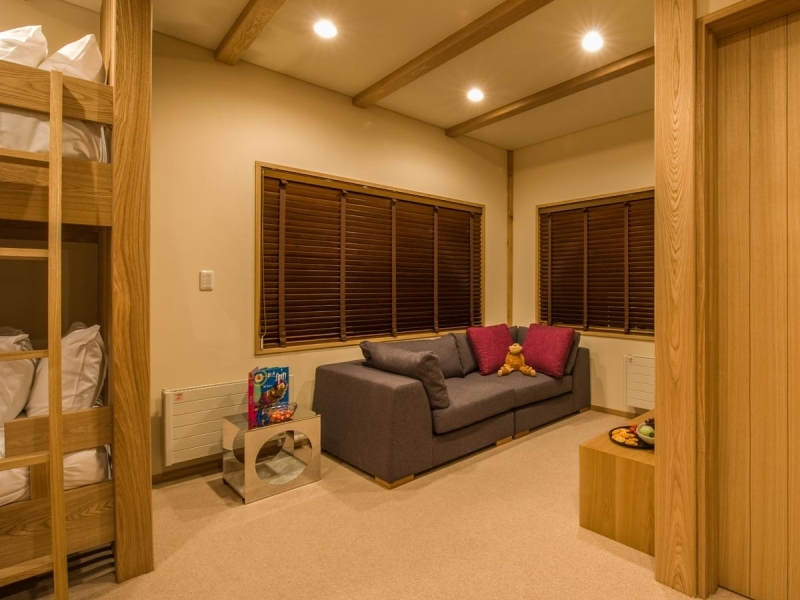 Cathedral ceilings take the cozy décor, which features an extensive use of timber, to new heights while highlighting authentic Japanese architecture in style. 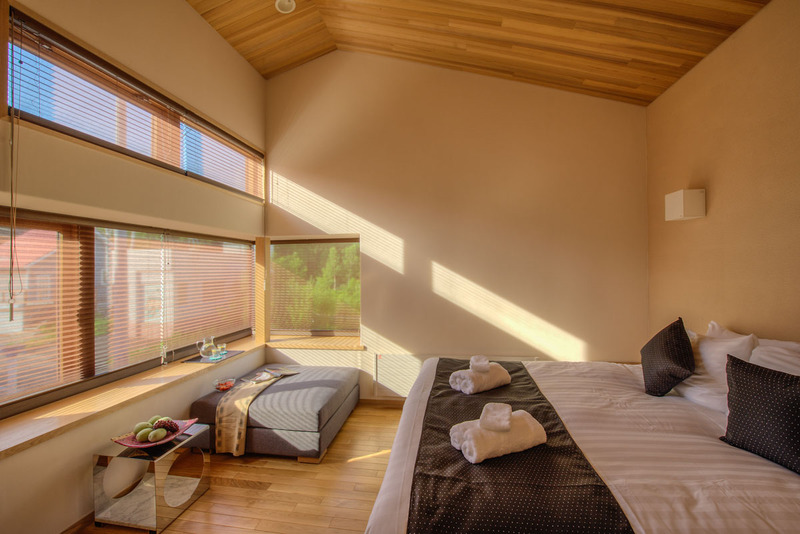 The spacious house comfortably sleeps six in three en suite king bedrooms, two of which can be configured as twin doubles. 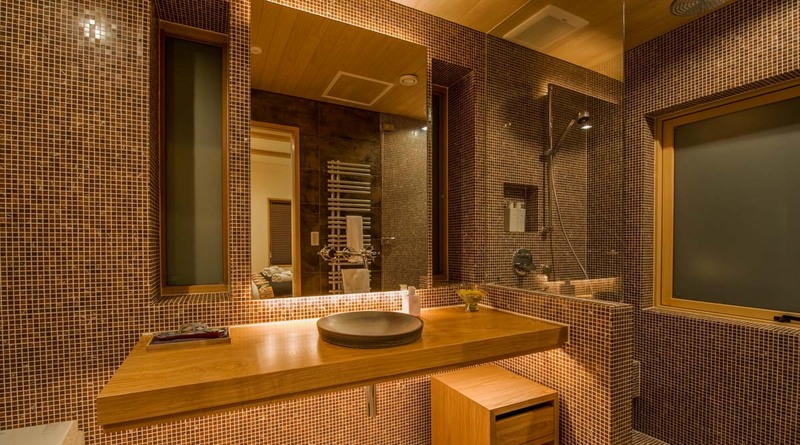 The master en suite bathroom comes with a Hinoki timber Japanese bath, keeping some heavenly home spa goodness easily accessible. The dedicated kids’ room has four bunk beds and features its own entertainment system to keep the younger ones busy. 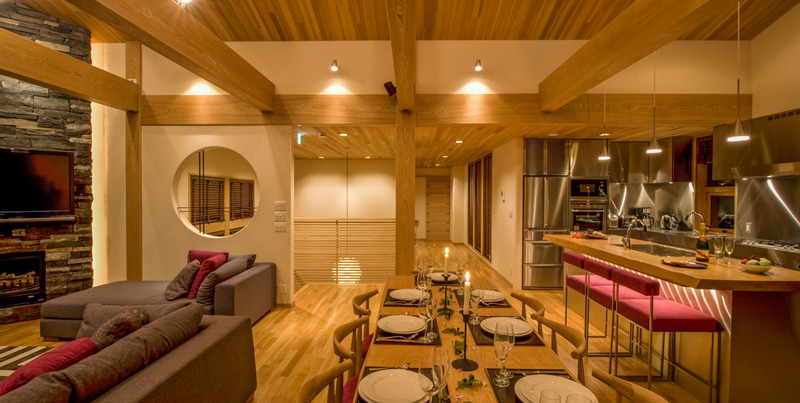 The house can sleep up to 10 in 4 bedrooms, and up to 12 by adding futon mattresses. 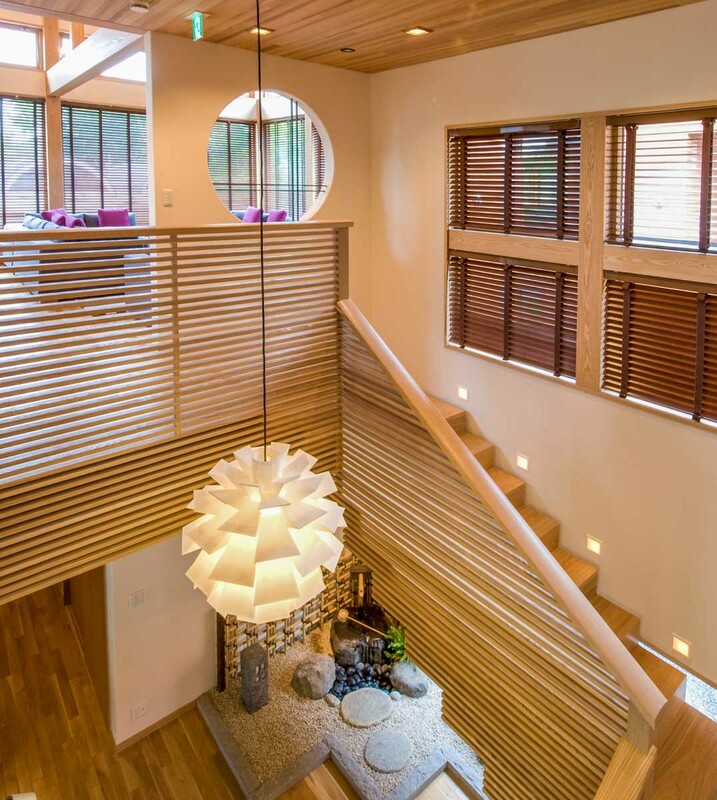 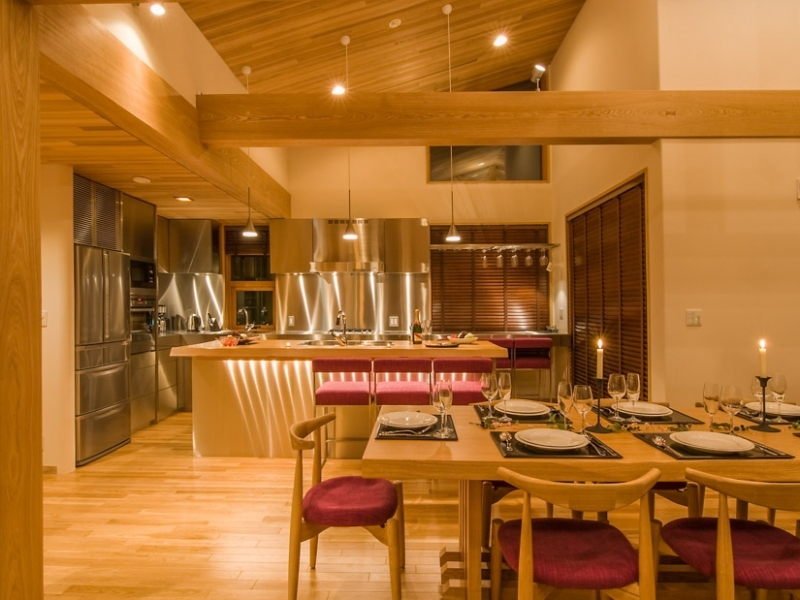 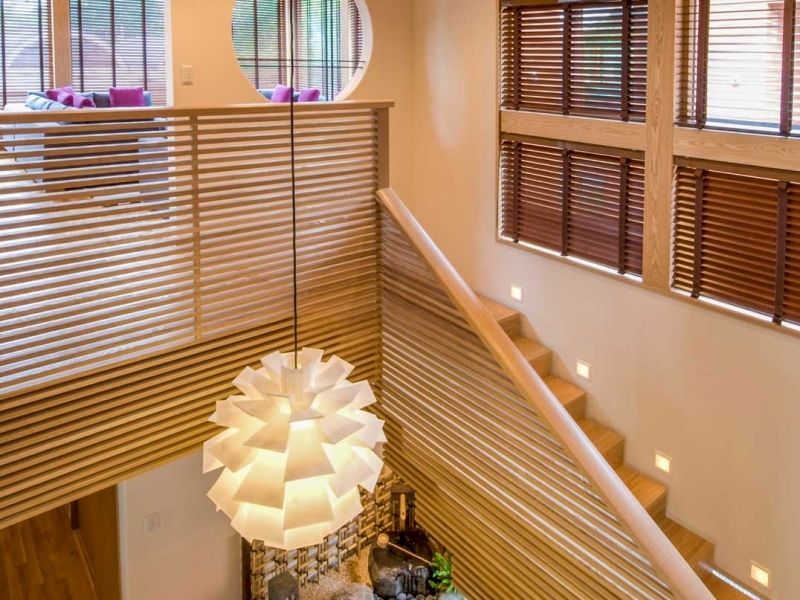 The wood-clad stairwell leads to the generous open-plan living, dining and kitchen area. 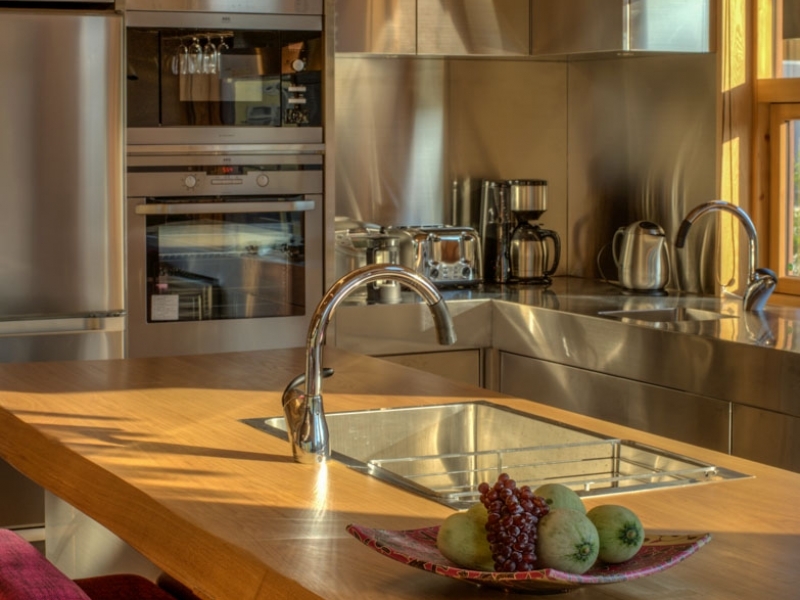 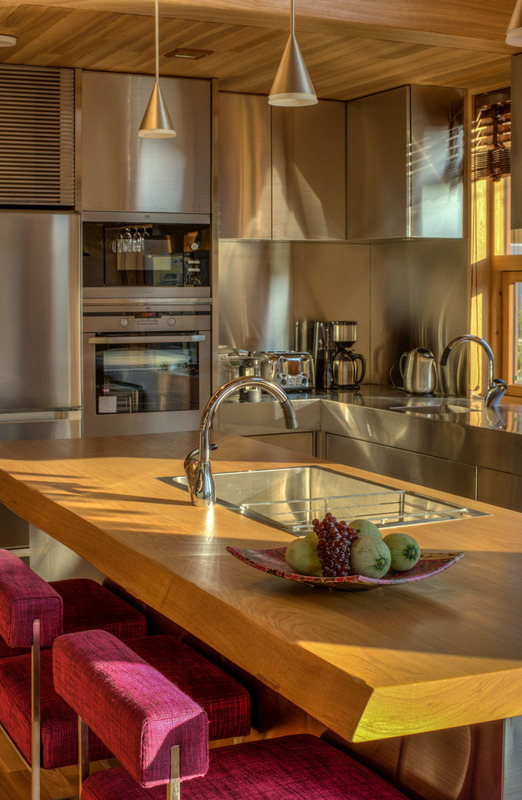 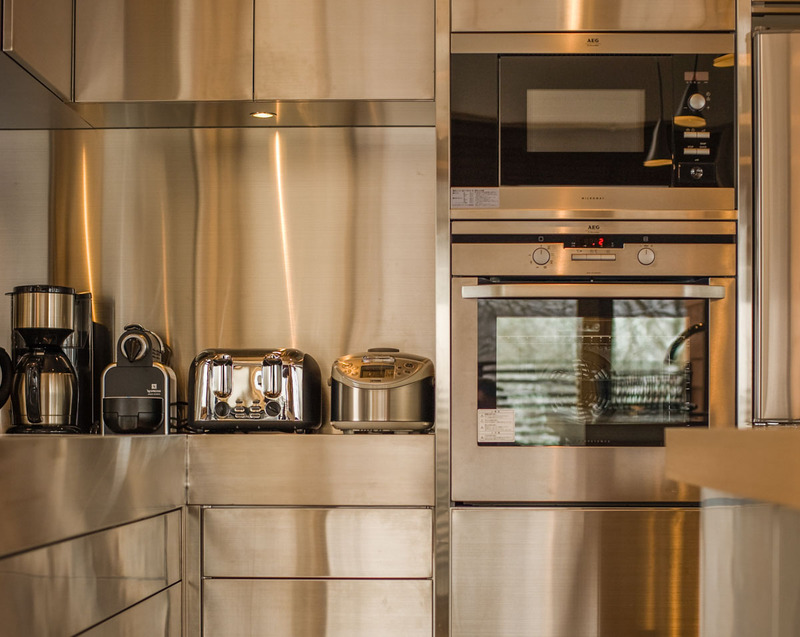 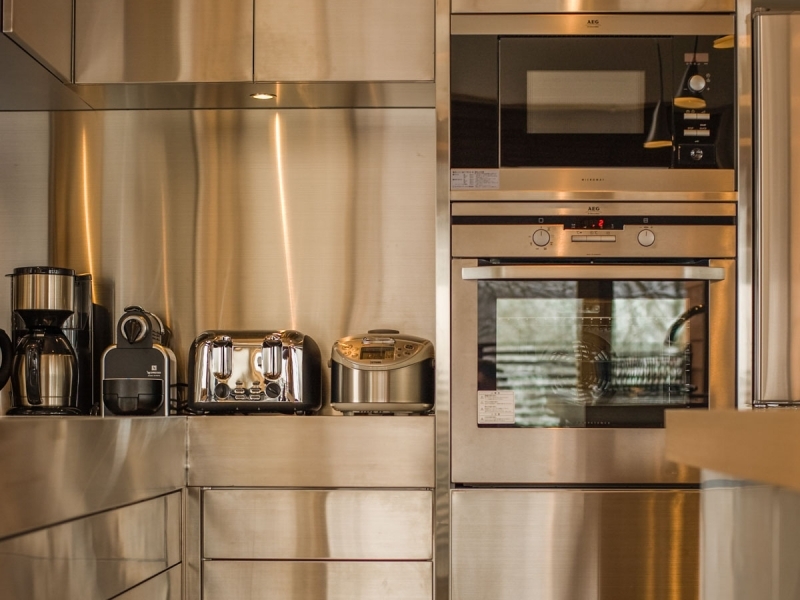 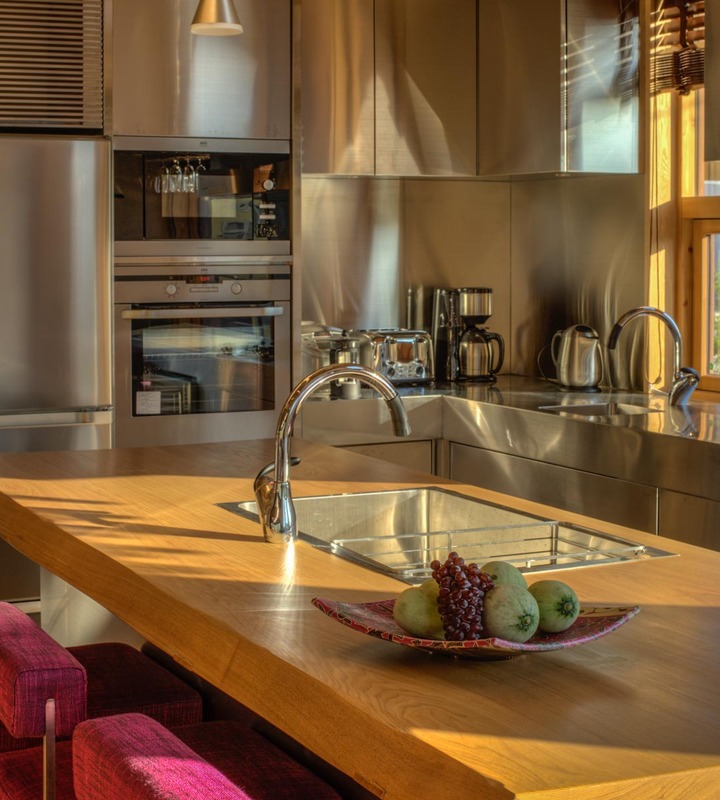 The contemporary-style kitchen comes with a chic breakfast bar and is amply supplied with modern appliances and utensils. 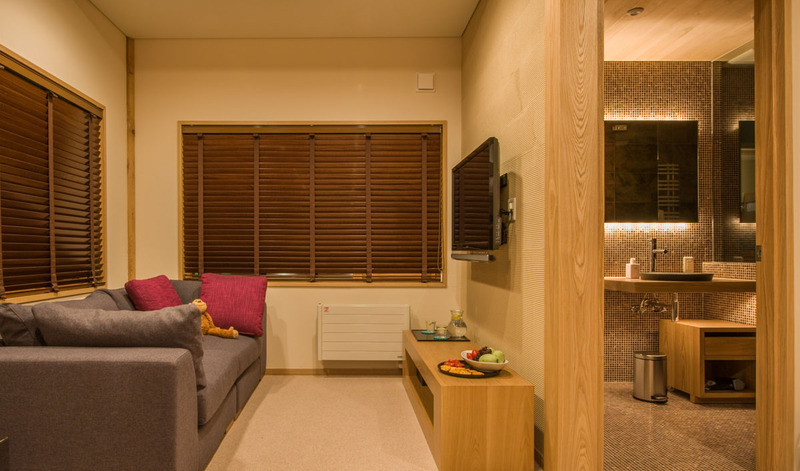 The living lounge has a satellite TV system and DVD player enhanced by surround-sound gear. 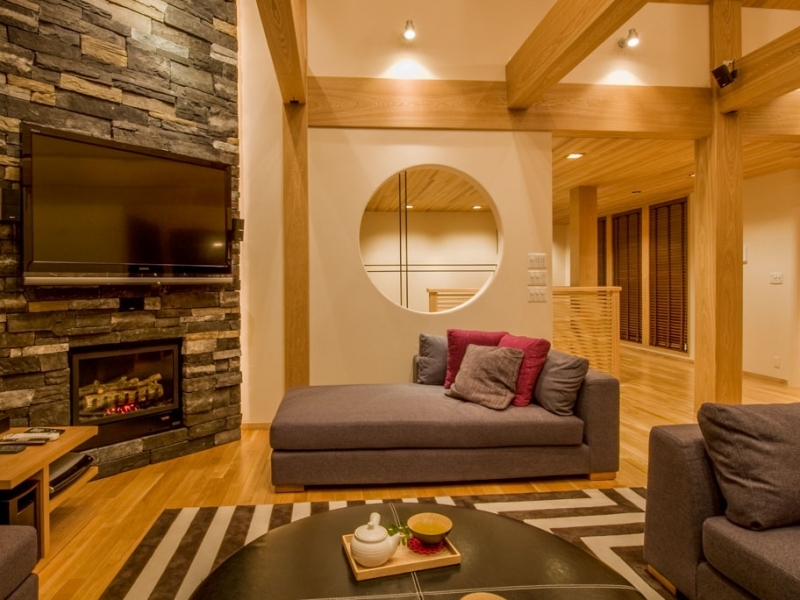 There is also a fire place that naturally adds warmth and an emotional ambiance to the room. 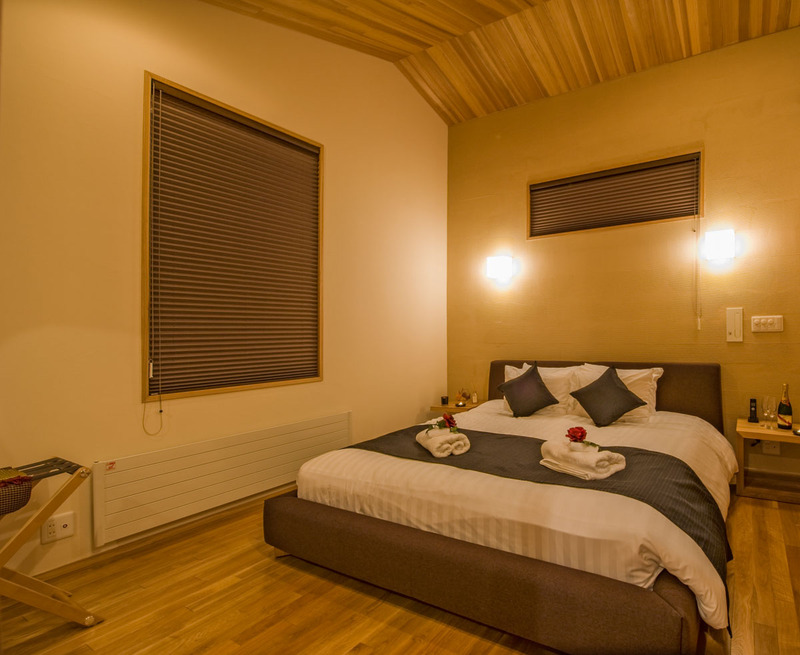 The first bedroom features 1 king double or 2 single beds, with a bathroom with toilet and rain shower. 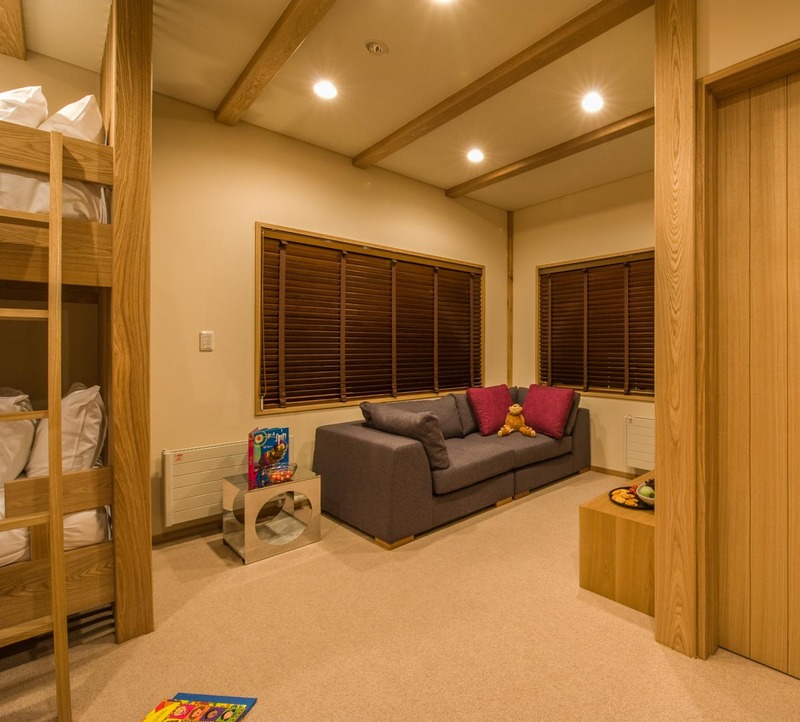 A good spot parents or caretakers, the children’s bedroom is next door. 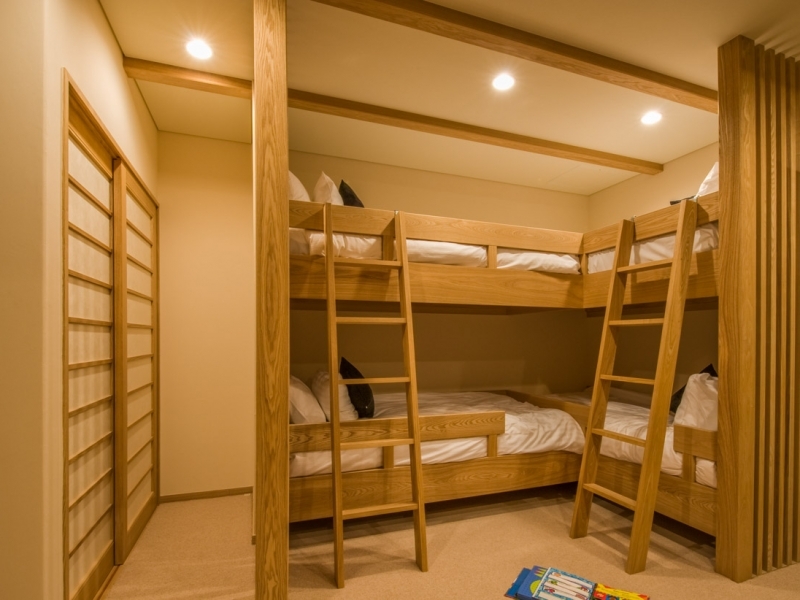 The children’s bedroom has 2 bunk beds sleeping up to 2 guests. 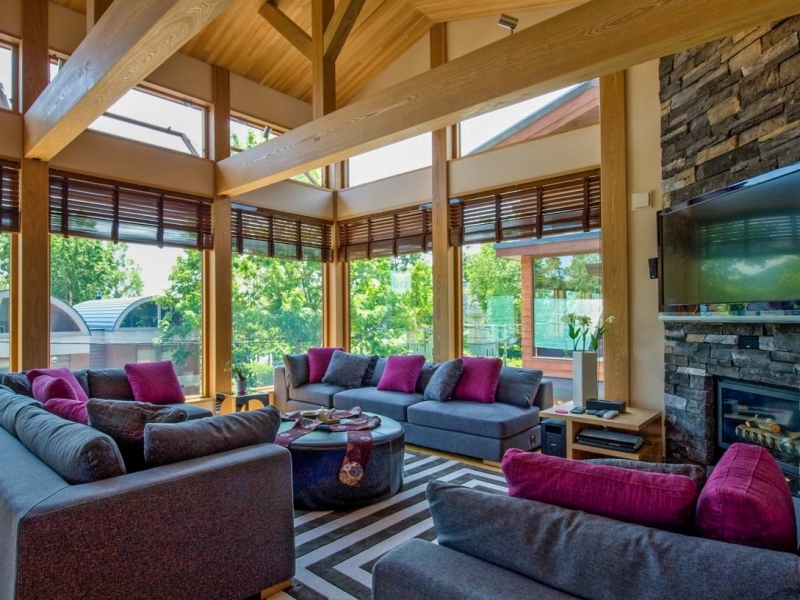 It also features a sofa suite and entertainment setup. 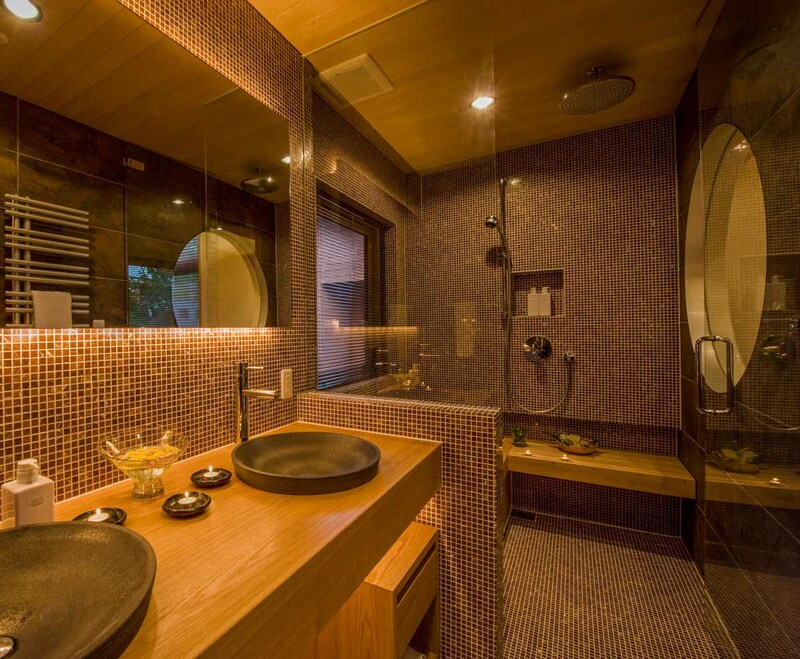 The ensuite is a bathroom with rain shower and bathtub, plus a walk-in wardrobe. The third bedroom has 1 queen bed to sleep up to 2 guests, ample storage and of Hirafu. 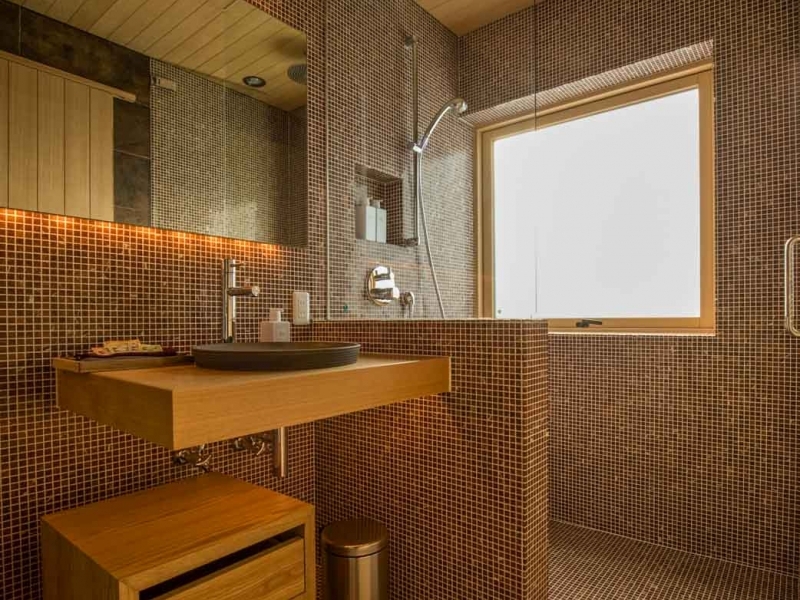 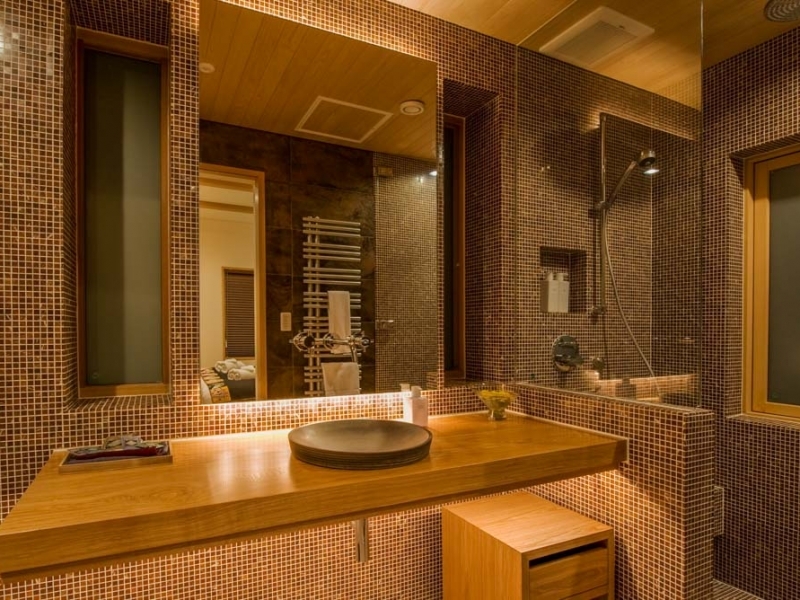 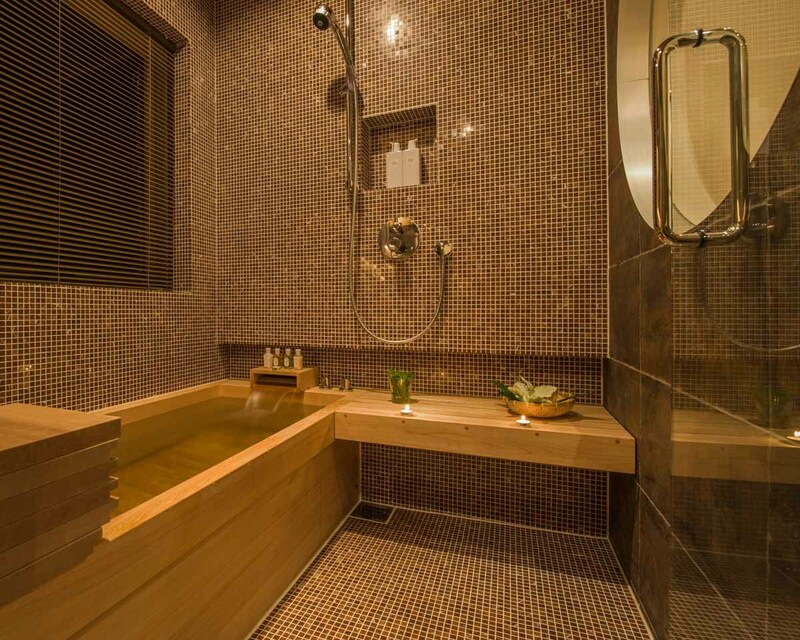 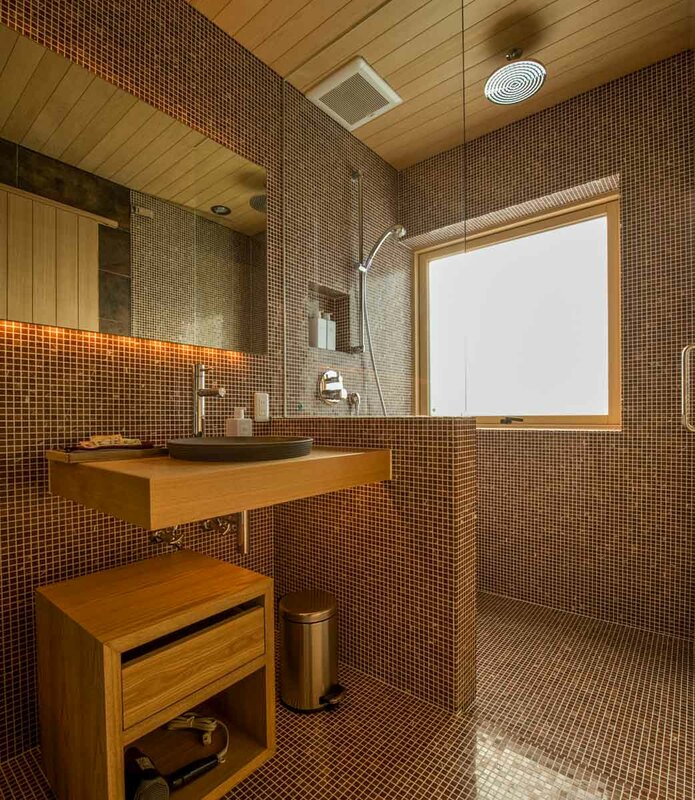 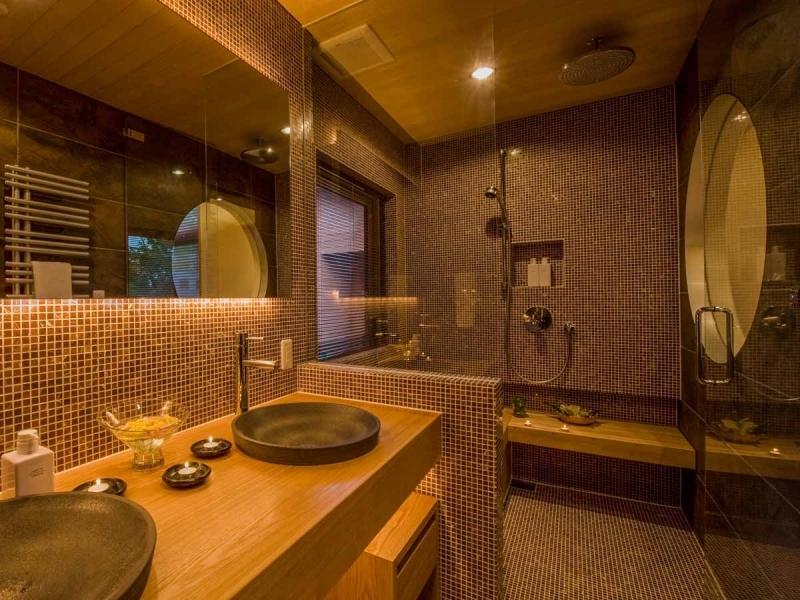 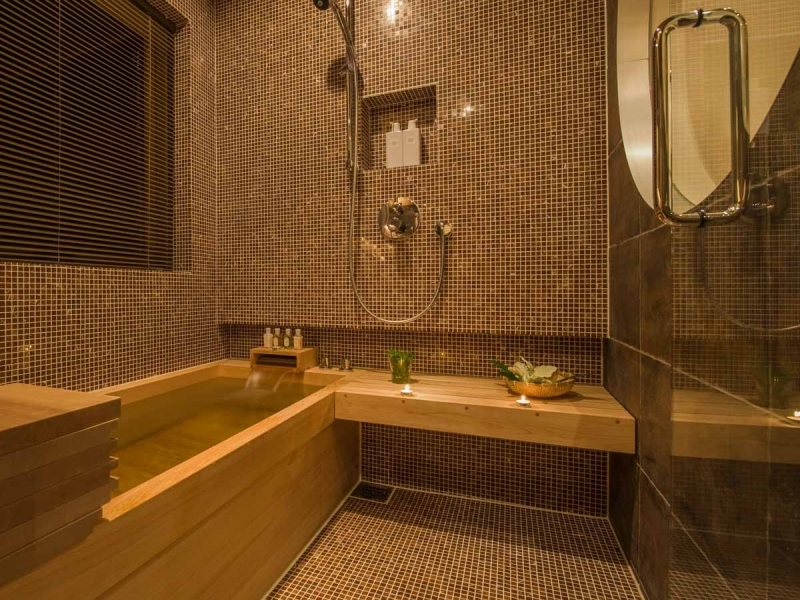 A rain shower and hinoki wood bathtub and separate toilet make up the ensuite bathroom. 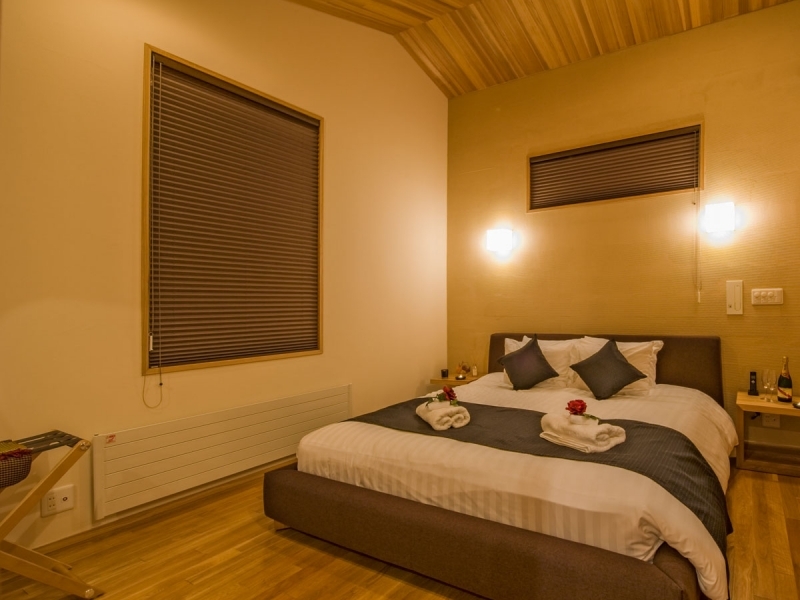 The fourth bedroom has 1 king double or 2 single beds can be arranged to sleep up to 2 people here. 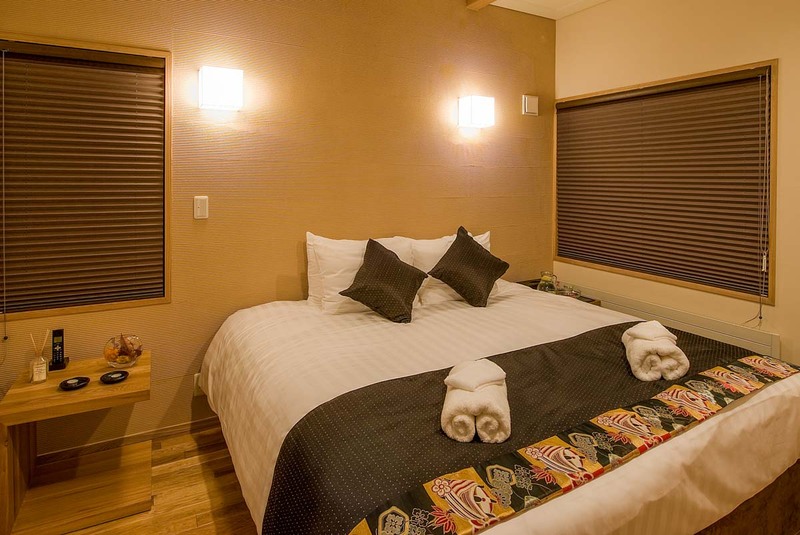 It enjoy Yotei views and an ensuite bathroom with rain shower and toilet. 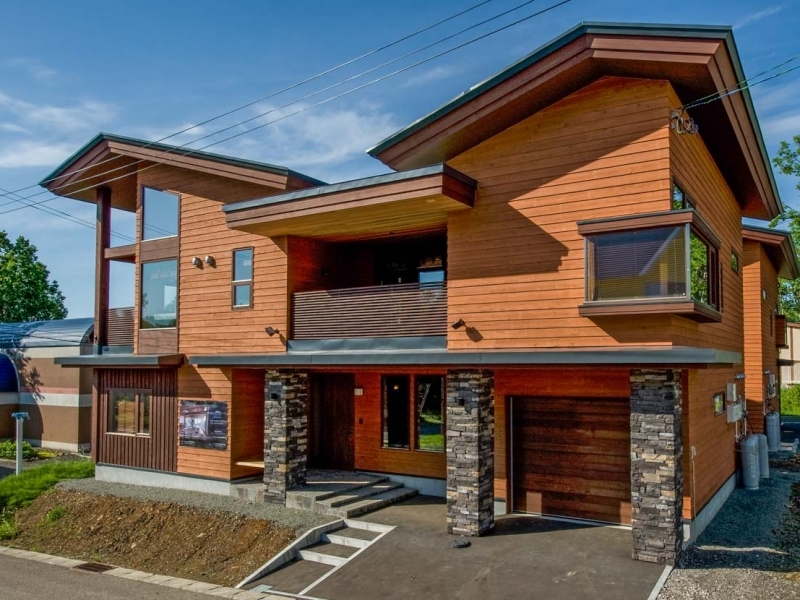 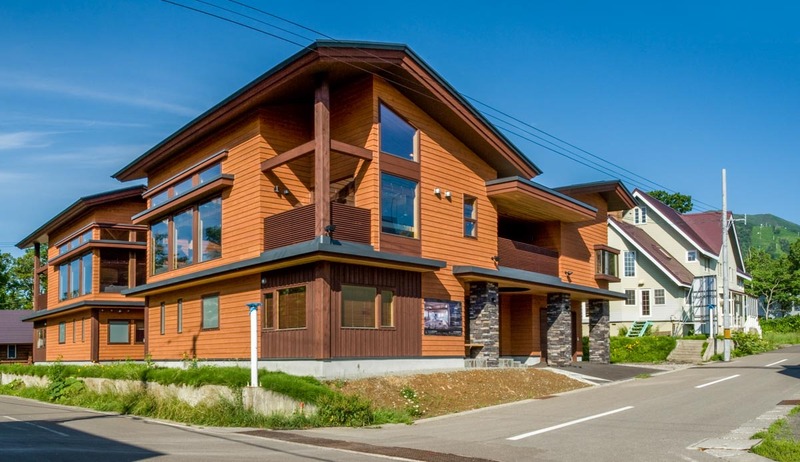 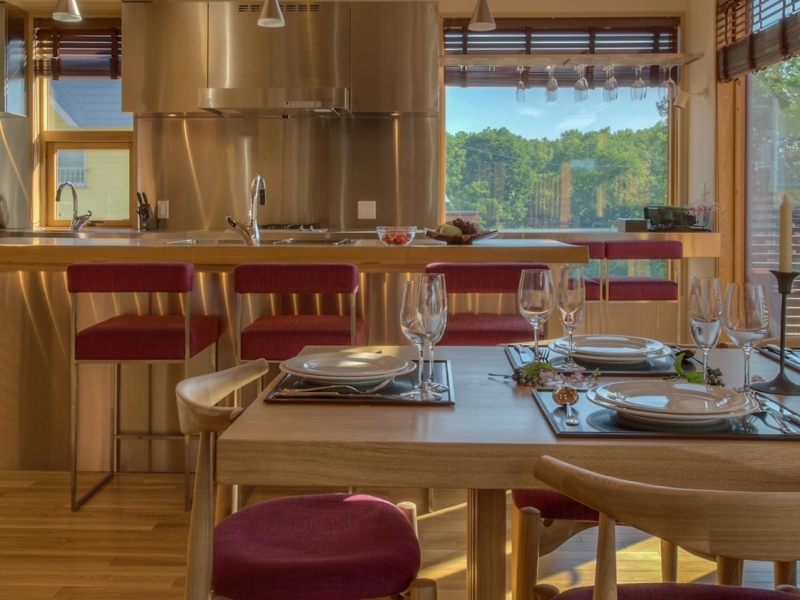 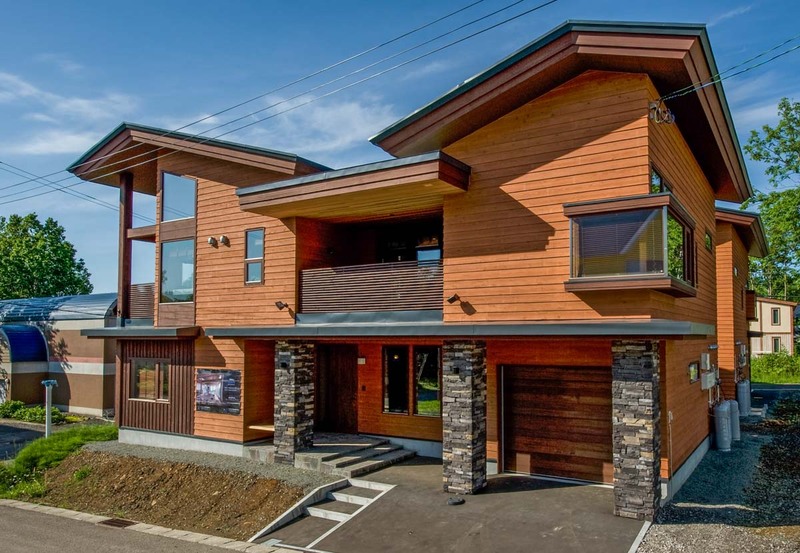 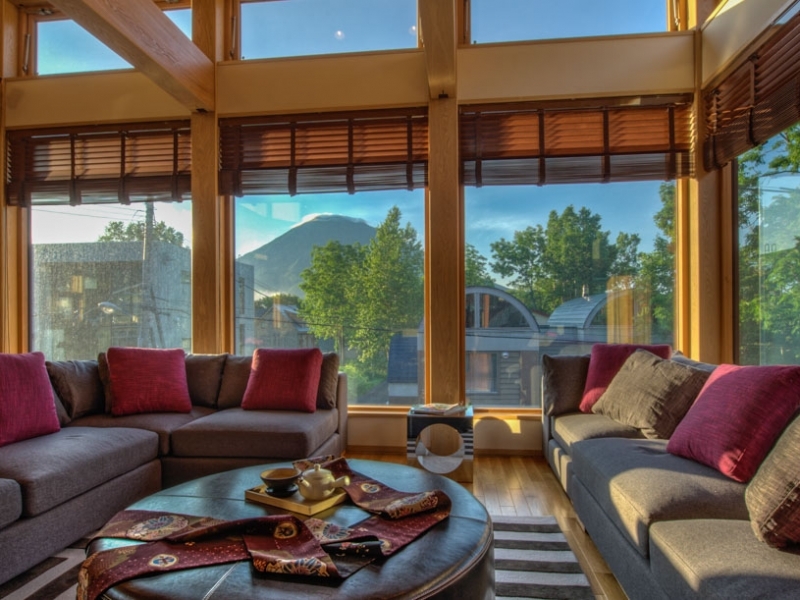 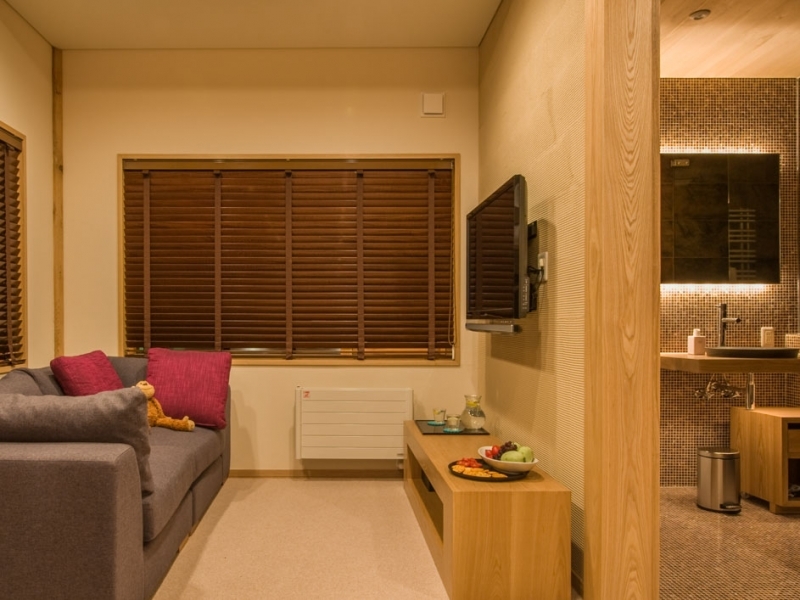 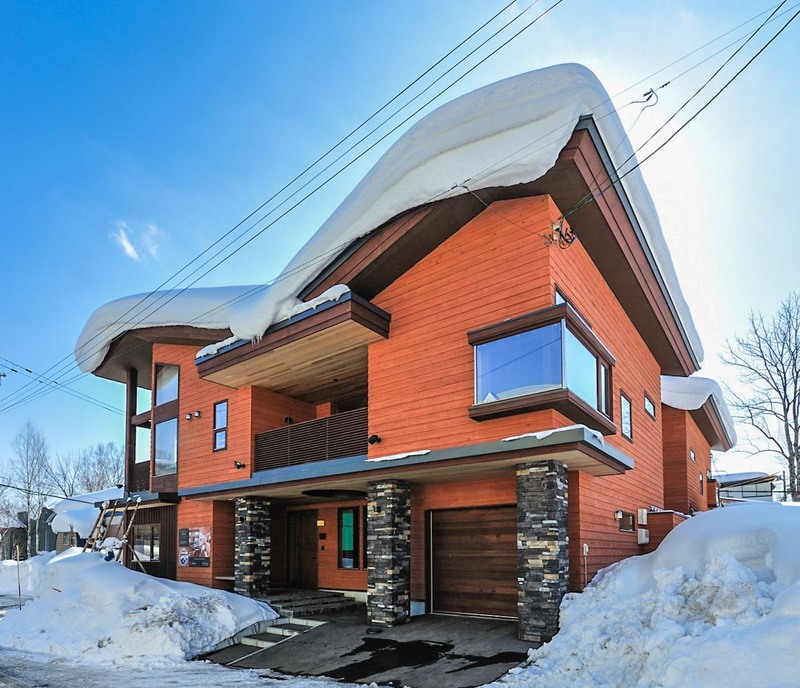 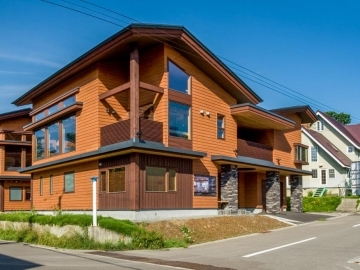 The four-bedroom residence sits in a quiet spot in Main Hirafu village on the free shuttle bus service route, conveniently connected to the neighborhood while ensuring ultimate privacy.